This early advertisementfor the IBM Correcting Selectric II typewriterappeared on televisions in 1973. It demonstrates a typewriter that made use of a rotating “typeball” to strike keys, as opposed to the traditional “basket” that would swing up to strike the ribbon. However, the greatest innovation in this specific model is certainly the inclusion of what is essentially the modern backspace key. As we discussed in our post on Standardization of Keyboard Layouts, the current keyboard standard is the QWERTY layout, which varies between the ANSI (from INCITS 154-1988 [S2009] – Office Machines and Supplies – Alphanumeric Machines – Keyboard Arrangement) and ISO (from ISO/IEC 9995-2:2009 – Information technology – Keyboard layouts for text and office systems – Part 2: Alphanumeric section) keyboards. 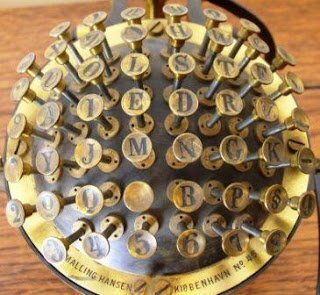 This QWERTY keyboard has remained largely unchanged ever since it was introduced in typewriters in the mid-1800s. However, that doesn’t mean that it hasn’t changed at all. Among the 20th Century innovations that optimized the keyboard for computers, a backspace key that could actually erase mistakes is one of the most important additions. Typewriters before this time did possess a backspace key, but it simply moved the carriage back one character space so the typist could use whiteout to remove a mistake. 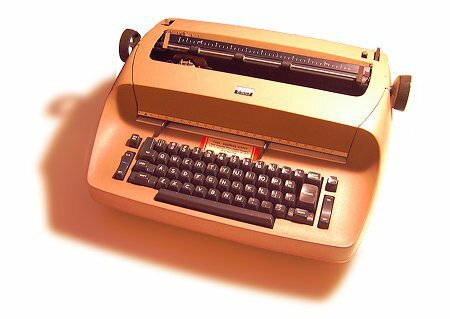 When struck, the correction key of IBM Selectric II would use internal correction tape to remove the mistake and replace it with a letter key manually chosen by the user. Computers at the time were also starting to make use of keyboard technology, but it was a concept still in its infancy. Many computers between 1950 and 1970 used a variety of input devices, including keypunch cards and teletypes. Computer keyboards emerged in the early 1970s and were built for computer programmers and engineers, but they were not designed to be aesthetically pleasing. This period marks additions to the QWERTY keyboard that made it more suitable for modern use. The presence of a key that could actually erase mistakes allowed for the ergonomic and efficient use of computer keyboards today.